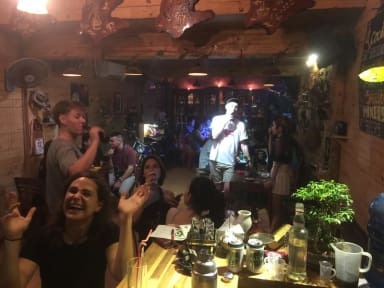 As the first live acoustic cafe to be established in this city, this spot is a hidden gem and a part of the history of Quy Nhon. Now re-opening as a hostel, it is a great place for backpackers to stop off and relax thier boots and drink the night away with locals and travellers. Expect to make some incredible memories at the Rong Cafe. Run by a warm welcoming family that offers the best hospitality in the city. The cafe is located within the city center, so be ready to feel the true heart of Quy Nhon and the buzzing atmosphere that comes with this. All rooms include clean beds, WiFi, air con and hot showers. The Rong Cafe also the offers bike rentals of a high standard. E-cigs (vape) are also sold here. Come to Rong Cafe and start your day the right way, with the best coffee in Vietnam.